Superheroes. Space marines. Magical children. Fictional characters! We love them! What would happen if they fought? Who would win? These are the hard hitting questions that host Josiah Robinson will answer biweekly with help from rotating guests. 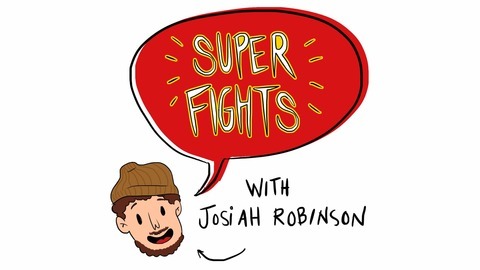 Special thanks to Clare Austen-Smith for the Superfights artwork and to Casey and Janae Kreines for the Superfights theme music. This week on Superfights, Josiah finally reveals his true gamer self! He is joined by Chicago comedian, improviser, and writer (as well as fellow gamer) Tyler Malec, as they discuss characters near and dear to their hearts: Genji, the tragic cyborg ninja, vs. Link, the hero of time! Who would win if they fought?? Hot on the tail of E3 and Overwatch's one year anniversary, Josiah and Tyler put their true gamer hats on and discuss all things Overwatch and Legend of Zelda and also somehow get on the topic of anime and shipping just for a little bit! Come for the fights, stay for the shipping. 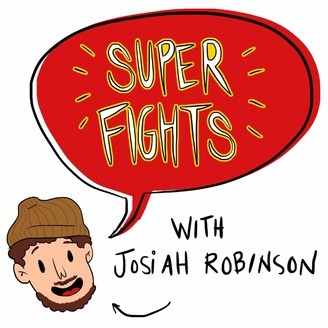 Special thanks to Clare Austen-Smith for the Superfights artwork and to Casey and Janae Kreines for the Superfights theme music!